A great deal of research goes into the husbandry of domestic fowl, some of which has important implications for pet bird owners as well. In scanning the literature, I recently came across the following important study. How Does One Keep a Chicken Busy? The European Zoological Nutrition Center reports that the wild relatives of domestic chickens (I’m assuming Red or Green Jungle Fowl) spend at least 60% of their day foraging for food. Domestic chickens, however, are fed high energy foods in easy-access feeders and usually take but a few minutes to meet their daily needs. That leaves the bored fowl a good 16 hours in which to get into trouble – which they do quite handily by pecking at their own and their neighbors’ feathers and skin. In order to keep the birds busy, researchers diluted their feed with sand and fiber. Doing so forced the chickens to spend significantly more of their day finding food, and led to a decrease in pecking. Unfortunately, however, the tactic only worked on chicks that had not yet begun to peck and pluck feathers – older birds continued the bad habit, but at least they had less time available to do so. Domestic chickens have lost many of their wild traits (and, some would argue, intelligence!) through countless generations of captive breeding. Parrots are much closer to their “roots” and are among the most intelligent of all birds…small wonder that they become bored easily and often pluck their feathers and engage in other forms of self mutilation. And just as with chickens, it’s important to provide an enriched environment early on – once feather plucking starts, it can be a very difficult habit to break. In addition to spending time with your parrot and providing it with a companion, there are a few other steps you can take to alleviate boredom. Our Foraging Confetti functions just as the sand mentioned above. Mixing it in with your bird’s food is a great way of encouraging foraging behavior (the bird must pick through and separate the confetti from the food). It works just as well with Canaries, Finches and Softbills. While any of our Parrot Toys can be used to keep your pet occupied, Foraging Toys are especially useful. Please be sure to also check out our newly introduced Edible Nest Boxes and Perches, which provide entertainment, exercise and nutrition all at once. 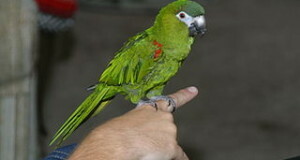 Please see Behavioral Enrichment for Parrots for more on this important topic. 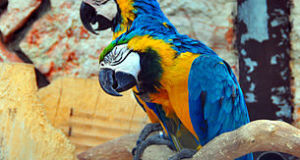 Performing parrots are never bored… please check out this most amusing video. very good articles. 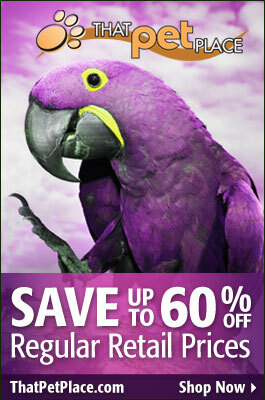 we are now in parrot training in Arizona having a great time. Hello Michael, Frank Indiviglio here.